The College of Education and Professional Studies at the University of Wisconsin-Whitewater is committed to the development of professionals who are lifelong learners, creators of knowledge, and leaders of character and integrity. Responding to the changing needs within our global society, our programs prepare professionals to actively engage in an open democratic society inclusive of diverse populations. As a premier center for global learning, the College's focus on depth of learning and academic excellence provides our students with the requisites to be leaders dedicated to change in their communities. The College of Education and Professional Studies prepares students for careers in a wide variety of areas including: counseling, teaching, health and fitness, physical education and coaching, speech and language, recreation, and military science and leadership. We offer programs at the undergraduate and graduate level and are committed to providing our graduates with the skills needed to succeed in today's fast-changing and global society. All of our programs have proven themselves through rigorous state and national accreditation in a variety of areas. Please see each department's website for more information on why we have some of the most sought-after degrees in Wisconsin. Our faculty and staff are committed to using the most current teaching methods and technology in their instruction. We look forward to helping you as you begin your education and we would be happy to advise you on career options and program plans. We offer a mixture of face-to-face, online and hybrid courses and several of our programs are now fully online. We're confident you will find something to meet your needs. Please visit the rest of our website and stop by the College if you're on campus. It would be our pleasure to assist you in any way we can. Dean's Advisory Board members include both alumni and friends of the university. They are civic leaders, individuals with knowledge and expertise that can be highly beneficial to both the students and faculty within the College of Education and Professional Studies. Board members represent a range of careers, backgrounds and expertise. A strong effort will be made to include diversity with the membership itself, male-female balance, and desirable ratio of local to non-local members. In 1963, David received his BEd degree, in three years, from then Wisconsin State University-Whitewater. He earned his MS from UW-Madison in 1967 while teaching. David did original research using the Klingberg Hypothesis on an African American sample group from Beloit for his master's thesis. Under Dr. George Mischio's guidance, David completed his Learning Disability Certification. During his teaching career, David served on reading and math committees for the Janesville School District. In addition, he was invited to serve on the district committee to plan for and implement Federal law 94-142 which set guidelines for special education students. While teaching in the Janesville School District, David was professionally involved as President of UniServ, was President of the YMCA's Men's Club, and served many years as Chairman of the Arbuthnot Family Association for the United States. Presently, David is active in the Janesville Area Retired Teachers Association, serving as Chair of the Legislative Committee, and serves on the board for the Rock Valley Education Professionals. Anna joined The Burish Group (a Madison UBS branch) in 2003 as an associate director. She has served in many capacities throughout her distinguished career in finance. In 1984, she started with Merrill Lynch as a client service associate (CSA); in 1985, she became a financial advisor and by 1987 was a founding member of a team that is still one of the top ranked today. From 1991 to 1993, she worked at their New Jersey corporate office in the business financial services area and she was part of the first team of marketing people to be based outside of the corporate office. In this role, she serviced over 300 offices west of Denver including Guam, Hawaii and Alaska. In 1996 she was recruited to UBS Financial Services and was based out of Los Angeles, California, where she was a divisional managed accounts consultant advising financial advisors on all aspects of working with professional money managers and managed accounts. Before coming to Madison, she co-managed the downtown Chicago branch, one of the largest UBS U.S. branches, where she held the title Divisional Vice President. Anna holds an executive master's in business administration from the UW-Madison as well as a BA degree from Whitman College in Walla Walla, Washington. 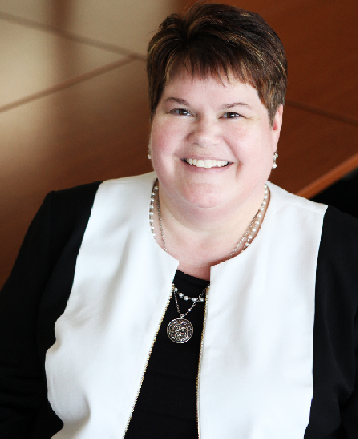 Currently, Anna sits on several Board of Directors including St. Mary's Hospital Foundation; Domestic Abuse Intervention Services (DAIS); and United Way of Dane County. She and her husband, Andy, make their home in Madison. In 1992, Diana earned her BSE from UW-Whitewater with a major in elementary/middle level education and a minor in mathematics. She later earned her MAT from Aurora University in 1999. Diana has dedicated her 23-year teaching career to the Whitewater Unified School District where she has taught in 6th, 7th and 8th grades. She currently teaches pre-algebra, algebra and geometry to 8th grade students. Diana is active in union leadership through the Whitewater EA serving multiple terms as President, Vice-President and as a negotiator since 2001. As a Kohl Fellowship recipient in April, 2014, Diana was then selected as the 2014-15 WI Middle School Teacher of the Year. She now proudly represents Wisconsin teachers as the 2015 WI Teacher of the Year. Cheri turned a passion for sports, a BA in psychology and a MS in counselor education into a career motivating athletes and others to reach their full potential. She grew up in Minnesota, where she played tennis and competed in downhill ski racing. She earned her MS from UW-Whitewater in 1996, where the hands-on experience, mentorship and direction she received helped her choose her path, which eventually led her to study sports psychology in Pennsylvania and establish Athletic Mind. She now works as a performance and mental-conditioning coach for the Milwaukee-area company she founded and owns. Here she helps athletes train their minds, including helping them to overcome mental blocks, enhance their focus and determination, set goals and build confidence. Bob received his BSE from UW-Whitewater with a major in elementary education and a minor in business economics. He received his MS from UW-Madison in educational administration and his PhD from Marquette University with a major in curriculum and instruction. He has extensive corporate experience as well as educational administration experience. He is a past Superintendent of the Verona Area School District and past Executive Director of Wisconsin AdvancED/North Central Association. Todd received his BSE from UW-Whitewater with a major in business education, as well as an MS in Accounting and an MSE in School Business Management. He also holds a specialist in administration leadership degree from UW-Milwaukee. He is a candidate for a PhD in educational leadership and policy analysis with the University of Wisconsin. He has served with two international accounting firms as well as in Assistant and Deputy Superintendent positions in the Oshkosh and Appleton School Districts. He was recently appointed to his current position with the School District of Waukesha. Todd's father, George Gray, taught in the School of Business Management at UW-Whitewater from 1968 to 1993. Mary graduated from UW-Whitewater with a BSE in art education as well as an MS in school counseling and has completed several years of graduate study at UW-Madison in curriculum and instruction. Mary has been teaching for some 33 years. She currently works as an art teacher at Beloit Memorial High School. She is also the Chair of the Art Department at Beloit Memorial High School. She frequently supervises UW-Whitewater student teachers as well as student teachers from a number of other colleges and is currently on the College of Education's ad hoc NCATE/DPI Committee for cooperating teachers. She and her husband run a dairy farm in Evansville and they have two grown sons. Ruth recently retired, but continues to do consulting work in the field of school psychology. Ruth consults at Drought School, Richfield Schools and Beloit Turner Schools. She received her BSE in elementary education (grades 1-8) with a minor in psychology and an MSE in school psychology, both from UW-Whitewater. Ruth has been a Nationally Certified School Psychologist since 1989 and is currently active in the Mentor Program at UW-Whitewater. She also obtained her PhD from UW-Madison in educational administration. Ruth has served as an elementary teacher, a school psychologist, and a director of special education and pupil services during her educational career. 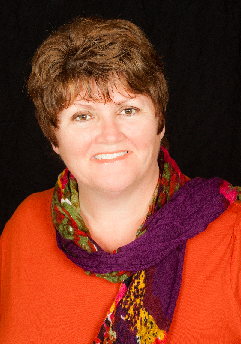 Christine Hayes is passionate about teaching children. Focused on arts education, she strives for an integrated arts curriculum that fosters student creativity, and reaches across and connects the various curricula for each child. Christine is completing her 27th year teaching music in the Whitewater Unified School District, most recently as K-5 General Music/Choir Director at Lincoln Inquiry Charter School (LINCS). Prior public school teaching includes positions in Michigan, Ohio and Illinois. Christine is the immediate past-chair of the National Association for Music Education Council for General Music Education and past president of the Wisconsin Music Educators Association. Additionally, she served on the writing team for the recently published 2014 National Core Curriculum Arts Standards in Music, with prior service on the writing teams for the Wisconsin State Academic Music Standards and WI State Music Curriculum. She earned her B.M.E. from Central Michigan University and M.M. from Northwestern University with a specialty in integrated arts curriculum. Christine has presented sessions at state and national music conferences with her topics of passion being composition and curriculum integration. As an author, she has numerous publications in professional music journals. Christine serves as a General Music Field Study cooperating teacher for UW-Whitewater. Recognition for her innovative teaching includes the Wisconsin Music Educators Association 2014 Creative Sparks in Music Education Award, 2015 Young Auditorium Arts Advocacy Award, Kohl Teaching Fellowship recipient 2008, Wisconsin State Teacher of the Year 2007 Phi Delta Kappa International/Walmart. Her most recent educational adventure led her to a Ghana village to study drumming and dance for three weeks in the summer of 2015. Past community service includes council member on the Whitewater Common Council, Irvin L. Young Memorial Library Board (president), and Whitewater Arts Alliance Board. Christine also directs the choir and youth drumming ensemble at First United Methodist Church in Whitewater. Jim received his BSE and MSE from UW-Whitewater in special education and more recently earned his PhD in urban education from UW-Milwaukee. Jim has been at the School District of Cudahy for nearly 20 years; the last nine serving as superintendent. He has been a member of the Council for Exceptional Children for over 25 years and was elected president at the beginning of 2015. Jim has served as a teacher, fiscal manager, and a director of student services prior to his current role as superintendent. Terry began her path as an educator with a BS in education from Kent State University and started teaching at the K-12 level in Minnesota. After moving to Wisconsin as a middle school language arts teacher she earned her MS in education from UW-Whitewater. When she retired from teaching she completed her doctorate in educational leadership with the University of Phoenix online. Finding the online learning environment stimulating she is now an online professor of education for UOP. Volunteering, Terry has established an educational foundation for her public school district and leads the educational program for her church. She and her husband raised two children and hosted many from around the world. She enjoys visiting her children in Colorado and California and keeping in touch with extended family around the world. In her spare time she enjoys reading, downhill skiing, biking, golfing, and travel. Kevin graduated from UW-Whitewater with a BBA in marketing in 1978. During college he worked for Professor G. M. Naidu conducting market research projects. This experience led to a position upon graduation with Ohio Medical Products as a Market Research Analyst where he did market research in anesthetics, anesthesia machines, ventilators, neo-natal intensive care units, and medical supplies. Kevin received an MBA from the University of Wisconsin - Madison in 1985. He joined A to Z RentAll and Sales, an equipment rental company in Madison, in 1980. This family business was started by his father in 1954 and has grown to two locations, and evolved into two operating divisions: tools and special events. 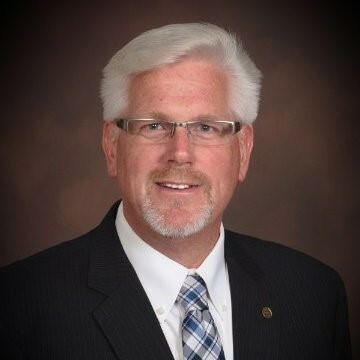 He has been active at his church serving as Moderator, in his state trade association serving as President, and is a member of Madison Rotary serving on the foundation board. He lives in Madison with his wife and has two grown daughters, both graduates of UW-Whitewater - one in education and one in criminal justice. Earl received his BBA from UW-Whitewater with a major in general business. He currently works as the Senior Director at Interactive Data Corporation. As the Senior Director, Earl is responsible for Sales and Relationship Management for the Western, Central and South Eastern United States, Canada and Latin America. Prior to holding this position, he served as Regional Director for Broadcasting Data/Interactive Data Corporation. Larry received his bachelor's degree in finance from UW-Whitewater in 1979 and his JD from Marquette University Law School in 1982. Larry is the owner of Kachel Financial Group, an independent advisory firm affiliated with Cetera Financial Specialists, LLC. He has over 30 years of investment advisory experience and is the former Wisconsin Regional Director for Cetera Financial Specialists, LLC. Larry has served as a featured seminar speaker on a variety of topics such as investments, asset protection and retirement planning. He also taught courses in business law, finance and government regulation at two Milwaukee area colleges for over 10 years on an adjunct faculty basis. Larry has strong ties to UW-Whitewater having served on numerous Chancellor and Athletic Director Search Committees and is a former co-president of the UW-Whitewater Alumni Association. He currently serves on numerous corporate and non-profit boards of directors in the Whitewater, Janesville and Brookfield communities. Larry is currently a member of the Whitewater Unified School District's Citizen Financial Advisory Committee and is a founding member of the recently created literacy advancement group, Whitewater Leads. Larry is also Chairman of the Board of the Greater Whitewater Committee, Inc., a group formed to strengthen ties between the business, educational and governmental communities. Monica is a District Identified for Improvement Supervisor with Milwaukee Public Schools. Dr. Kelsey-Brown earned her Ph.D. in curriculum and instruction from the UW-Madison, both her BSE and MS at the UW-Whitewater. 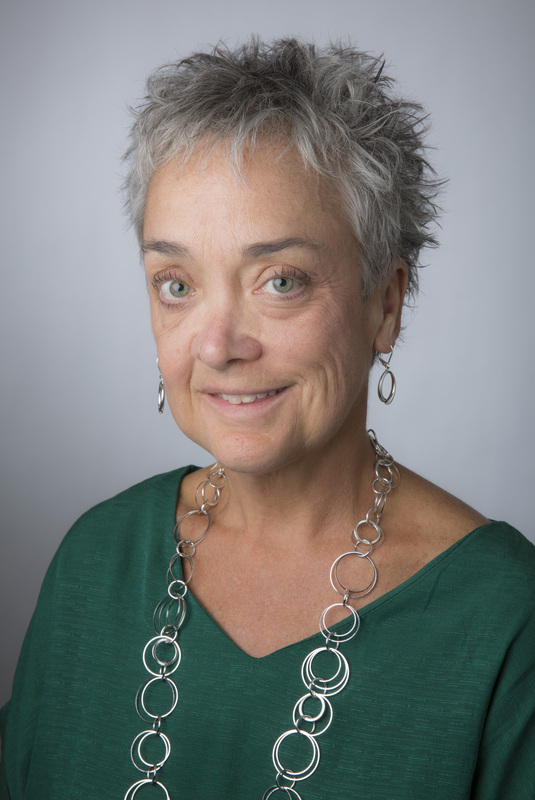 In her previous position, Director, Academic Support Services, UW-Whitewater, she was successful with securing both federal and state grant funds to assist with building the foundation and effectively implementing a variety of college and pre-college programs. She has also taught graduate level courses for several different colleges/universities across the state. Dr. Kelsey-Brown is a member of Metropolitan Milwaukee Alliance of Black School Educators and is a proud member of Alpha Kappa Alpha Sorority Inc.
Peggy currently serves as the president for Minnesota State Community and Technical College (M State) with campuses in Detroit Lakes, Fergus Falls, Moorhead and Wadena, MN. Prior to that Peggy served as the senior chief academic and student development officer at Saint Paul College, an urban comprehensive community and technical college. 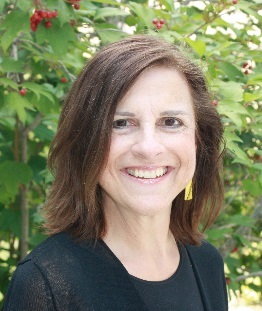 Peggy has worked extensively in the areas of strategic planning, regional and program accreditation, assessment of student learning and institutional effectiveness, program/discipline development, instructional technology, faculty and staff development, college governance, grant development and management. She is most proud of her efforts in facilitating the expansion of the college mission from a technical college to a comprehensive community and technical college. This added a much needed liberal arts and sciences program in Saint Paul which provided additional learning options to the diverse residents of the city. In addition she has authored several publications and presented at numerous conferences. Peggy earned her doctorate degree in Educational Policy and Administration in 1996, a master's degree in Business Education in 1980, and a professional certificate in training and development in 1984 all from the University of Minnesota. Her bachelor's degree is in business education and a minor in English from the UW-Whitewater. Ervin received his BS in elementary education and MS in education (school psychology) from UW-Whitewater. He also completed several years of post-graduate study at UW-Milwaukee and Marquette University. Ervin worked for several years as an elementary teacher, as well as a school psychologist in the Milwaukee Public Schools before relocating to Los Angeles to serve as a personnel supervisor at the USC Olympic Village during the 1984 Olympics. Ervin was a co-founder of both the Labor Immigrant Assistance Project (education director) and AIDS Project Los Angeles (first acting executive director). Over the past 35 years, he's worked with a wide range of adult populations to include homeless, refugees/immigrants, persons with disabilities, persons with HIV/AIDS, Veterans, persons with substance addictions, persons with mental illnesses, and frail/elderly. For the past 15 years, Ervin served as the director of social services for SRO Housing Corporation where he oversees 60+ staff who serve 2,300 clients in the "Skid Row" area of downtown Los Angeles at 31 different sites. He is a frequent presenter at numerous local and national conferences and serves on the Board of Directors for the National Association of Case Management. Ervin a trainer for the Los Angeles County Department of Mental Health as well as many local social service agencies; and is often a guest presenter at various universities. He was the recipient of UW-Whitewater's 2011 National Distinguished Alumni Award for Community/Regional Service. In 1992, Bernie earned a BSE from UW-Whitewater with a major in elementary/middle level education and a minor in political science. In 1999 he earned a Master of Science in Educational Administration from the University of Wisconsin-Madison. He earned an Educational Specialist Certificate from UW-Madison in educational leadership and policy analysis in 2004. Bernie has served in public schools for twenty-four years, the past eighteen in school administration with the last five years as District Administrator for the School District of Cambridge (WI). Angela Prestil is Director of Business Development for Credit Union National Association (CUNA) based in Madison, Wisconsin. Her responsibilities at CUNA include sales and service culture development, online training, and consumer financial education. With a career focused on adult education, Angela has developed and delivered educational events in sales, innovation, and train-the-trainer programs, with an emphasis on customer relationship development. She was part of a 2-person team that brought webinars to credit unions throughout the country beginning in 2001. Angela is a long-time volunteer for GSAFE - Wisconsin, having served on their Board of Directors for three years and their Finance Committee for 6 years, as well as helping organize on-site registration for their annual Walk/Run/Eat since its inception 6 years ago and their annual Celebration of Leadership silent auction for the past 9 years. She earned her Bachelor of Science from Edgewood College in Madison, Wisconsin in 1985. Steve received his BA in mathematics from the University of Northern Iowa and his MEPD from UW-Whitewater. 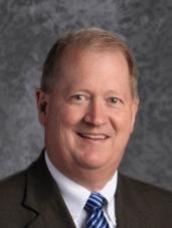 He recently retired as Principal of the Whitewater Middle School after being named as Wisconsin's Associate Principal of the Year in 1992 and the Wisconsin Middle Level Principal of the Year in 2000. He is past president of the Association of Wisconsin School Administrators Association and a 3-year member of the NASSP National Middle Level Commission in Washington, D.C. Steve and his wife Melanie, recently retired French teacher at the Phoenix Middle School in Delavan, are the principal donors to the Keith L. Collins Family Scholarship in honor of Melanie's father, Keith Collins, who for many years was the administrator of certification and licensure in the College of Education. Peggy earned a BSE from UW-Whitewater in 1978. She taught Middle School Math and Social Studies as well as Learning Disabled students for three years in the Bay Village, OH School District before entering the airline industry. Peggy has served in many capacities throughout her career in commercial aviation. Beginning in 1981, as a flight attendant with Northwest Airlines, she later held positions in Flight Attendant Training, Recruitment and Supervision. She served as Director of Labor Relations-Flight until joining AirTran Airways in 2003. At AirTran, Peggy initially served as Director of In-Flight Service and was promoted to Vice President of In-Flight Service in 2007; retiring in 2012. Peggy currently serves on several boards and enjoys spending time with her husband Dan and their three daughters. She resides in Marietta, Georgia. 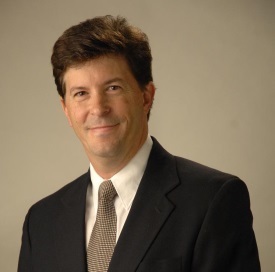 Dr. Daniel A. Schroeder is President/CEO of Organization Development Consultants, Inc. (ODC), a management consulting firm offering performance consulting solutions for individuals, teams, and organizations. ODC serves regional and national clients from its offices in suburban Milwaukee. Additionally, he teaches in the Organizational Behavior and Leadership (bachelor's) and Organization Development (master's) programs at Edgewood College (Madison, WI), programs that he founded and for which he served as Program Director. Dr. Schroeder earned his terminal (Psychology/Organizational Science) and bachelor's (Psychology/Professional Business) degrees within the University of Wisconsin System. He earned his master's degree in Industrial/Organizational Psychology at Western Michigan University. He is a licensed psychologist in the State of Wisconsin. He is also a certified clinical trauma professional. He holds board certifications in organizational and business consulting psychology (OBCP) from the American Board of Professional Psychology and in psychology from the American Board of Psychological Specialties. Donna received her BS in family and consumer education from Iowa State University and her MS in educational administration from UW-Madison. Her initial 2 years of teaching at the middle school level occurred in Wichita, Kansas followed by a year in Kenosha. She has spent the last 30 years in the Delavan-Darien School District. She was the Allied Arts Team Leader and F.A.C.E. teacher at Phoenix Middle School for eight years beginning in 1981, followed by 4 years at Delavan-Darien High School as the Associate Principal. For the past 18 years she has been the K-5 Elementary Principal at Wileman Elementary School. She has spent several years on the AWSA (Association of WI School Administrators) Board of Directors in various roles. In recognition of her work at Wileman she was named NAESP National Distinguished Principal and Wisconsin Elementary School Principal of the Year in 2003-2004. President of Stettler Management, Inc.
Gayle received her BSEd in Elementary Education. She taught middle school science and math in the Evansville Public School System before becoming Director of Meadowlark School, an alternative private school in Whitewater. In 1976 she and her husband founded H&S Construction, in Edgerton, Wisconsin. It was a residential construction firm that later became Stettler Construction. She served as an officer in both of the companies. 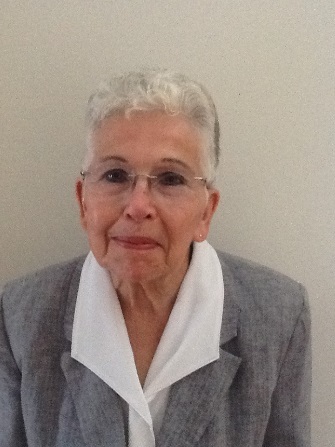 Gayle served as the Executive Director of the Edgerton Housing Authority from 1986-1998. Currently she is the president of Stettler Management, Inc. and co-owner of Stettler Properties, specializing in student housing in Whitewater. She is the mother of three grown childrem. She and her husband have been married for 40 years and reside in Whitewater. She served as the Chair of the Edgerton Sesquicentennial Celebration and Co-chair of the Capital Campaign for the renovation of the Edgerton Public Library and currently is on the education sub-committee of the Greater Whitewater Committee. In 1987, Marjorie Stoneman earned her bachelor's degree in speech with a public relations emphasis from UW-Whitewater, with minors in business marketing and French. She later earned her master's degree in speech communication from the UW-Milwaukee, where she was also a teaching assistant. Her past work experiences have included Marketing and Public Relations Manager at Second Harvest Food Bank and Media and Community Relations Associate at United Way of Greater Milwaukee. A mother of one son who attends Whitewater Middle School, Stoneman is involved in a variety of activities in the community, including serving on the Whitewater YES for Education leadership team, volunteering to handle media relations for the Whitewater Arts Alliance, and serving as President of the Whitewater Middle School Parent Teacher Organization. In 2015, she was one of six who received a Friends of Whitewater Kids award from the Whitewater Unified School District. Carolyn received her BS. Ed. in 1965 from Ball State Teachers College with an English major and Social Studies minor. In 1972 she earned her MS. Ed. with a reading emphasis from UW-Whitewater. Carolyn completed her Ph.D. in Educational Administration and Curriculum in 1990 at the University of Wisconsin-Madison.Carolyn is a retired educator with 33 years of serving Wisconsin public schools and their students. 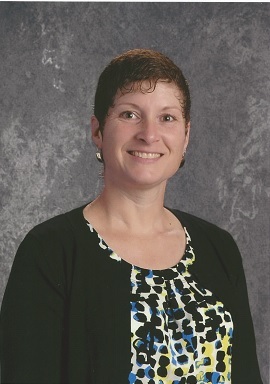 She began her career as a reading teacher/specialist in the Jefferson Public Schools, moving on to the Watertown Unified School District as the Title 1 Director and Director of Curriculum and Instruction. Her next position was that of Superintendent of the Palmyra-Eagle School District. Her last position was that of CESA #2 Agency Administrator, where she had the opportunity to work with the 75 school districts within that area.During her career, Carolyn has been a member of many professional organizations. She presently is a member of the Madison Area Technical College Board of Trustees, a position which she has held for the past 11 years. During that time she has served as secretary, treasurer, vice chair and chair of the Board. She has also served on the Wisconsin Technical College Association's Board of Directors for six years. Sandy received her BSE and MS in communicative disorders from UW-Whitewater. She recently retired from Beloit Public Schools where she served as a Speech Pathologist. Prior to working in the Beloit School District, she was employed at the Beloit Memorial Hospital in a speech pathology position. Brian's connection with UW-Whitewater began when he served at a professor of Military Science for Army ROTC from fall of 2009 to the winter of 2011. He graduated from St. John's University, MN in 1989 with a BA in history and started a varied career with the US Army. Serving on active duty for the first 8 years after college he was stationed at Ft. Lewis, WA and Ft. Sill, OK as a Field Artillery Officer. While at Ft. Sill, he began his experience as a military instructor teaching newly graduated and commissioned officers at the Field Artillery Officer Basic and Advanced Courses. Brian left the active Army in 1996 and worked for about 5 years in the corporate logistics and shipping field while serving as a traditional "weekend" Army National Guardsman. In 2001, he reentered active service as a full time Wisconsin Army guardsman. Since then he has worked in training, human resources, and command roles, highlighted with a deployment and Battalion Command in Kuwait and Iraq in 2006-2007, assignment as a professor of Military Science at UWW, and as the Deputy Director for Personnel/Human Resources (G1). Brian is currently the Deputy Chief of Staff, Strategic Plans and Policy (G5) for the 7000+ soldiers in the Wisconsin Army National Guard. He has an MBA from Trident University and more recently a master's in strategic studies from the US Army War College. Brian has lived in Watertown, Wisconsin since 1998 and is 23 years married to his wife Cathy, with two children. The Dean's Advisory Council (DAC) serves as a liaison between the student body and the College of Education & Professional Studies (COEPS). It acts in an advisory capacity to the Dean by making recommendations about COEPS needs and services, programs and general operations. It is also intended to connect students with available resources, and to bridge communication between students, faculty, staff, and alumni. The DAC will meet the first Tuesday of every month from 4-6 p.m. during the academic year. A Convener and Associate Convener will be chosen from among the DAC members to run the meeting, set the agenda and work with the Dean on the various obligations of the Committee. The College of Education and Professional Studies prepares the largest number of teachers in Wisconsin among 33 institutions. More than 2,200 students are enrolled in seven departments: Communication Sciences & Disorders; Counselor Education; Curriculum and Instruction; Educational Foundations; Health, Physical Education, Recreation and Coaching; Leadership, Military Science and Aerospace Studies; and Special Education. Within the College, there are close to 100 faculty and academic staff members of which 90% have earned doctorates. In addition to teaching and research obligations, faculty and staff are actively involved in professional and specialty organizations. Many hold regional, state, national and international offices and serve on professional committees and advisory boards. Williams Center: Department of Health, Physical Education, Recreation and Coaching. The administrative offices and several departments of the College of Education and Professional Studies are located in Winther Hall, named after the College's first dean, Adolph I. Winther. The Communication Sciences & Disorders Department is located in the Roseman Building and the Health, Physical Education, Recreation and Coaching Department is located in the Williams Center. In the internship program, outstanding teacher education students may spend a semester developing skills and expertise in participating school districts throughout southeastern Wisconsin while meeting the student teaching requirements. In addition, students in the Occupational and Environmental Safety & Health program are regularly assigned internships within a company or a government agency according to their interests. For all students pursuing teacher licensure programs, there are two points of admission. The first is admission to UW-Whitewater and the second is admission to Professional Education. Students must be admitted to Professional Education in order to take upper-level courses for licensure required for their degree programs. In order to apply for admission to Professional Education, students must meet all of the Basic Eligibility Requirements and submit their application materials during one of the designated admission cycles for their program. There are admission cycles during the fall, spring and summer terms. While most programs admit during all three terms, the Early Childhood Dual Licensure program accepts applications during the fall only and the Elementary/Middle Education program admits in fall and spring, but not summer. The College of Education and Professional Studies is the home of the Wisconsin Instructional Technology Resource Center (WITRC). Staff of this center maintain the 33 technology classrooms and labs in the College, checkout portable equipment and house a collection of educational software to help university faculty, students and public school teachers integrate instructional technology into the curricula.A full-time coordinator of technology resources assists in facilitating a technology-based teaching/learning environment through faculty/student workshops, seminars and consultation.